Bert and Bea are accomplished singers/songwriters. Both have played accoustic guitar for over 30 years. 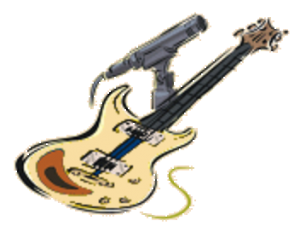 Bert also plays electric guitar. Together, they have traveled and performed in a variety of venues including churches, coffee houses, children's camps, and have provided music for weddings and funerals. They play a variety of folk, contemporary Christian music and original composition. They accept a love offering for their performances. If you would like to invite them to be a part of your event, please fill out the Contact Form (on right). 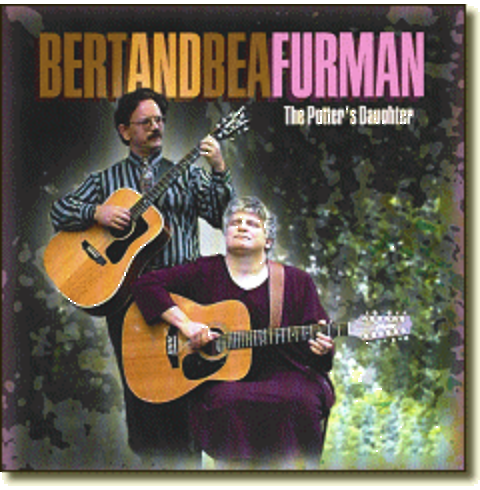 Bert & Bea's CD "The Potter's Daughter"
Order a CD - only $15.00! 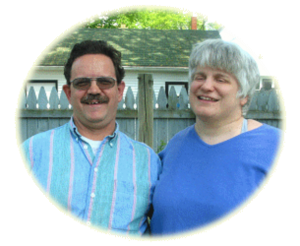 Invite Bert & Bea to your event! 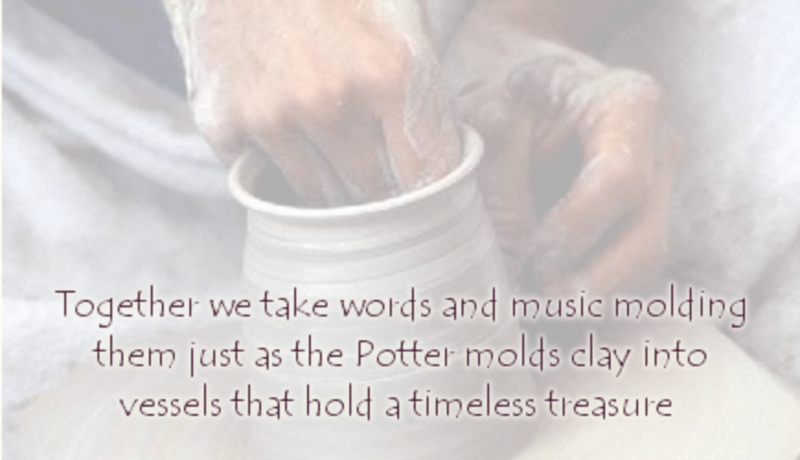 I would like an email subscription to Bea's newsletter, "Reflections From The Potter's Daughter"
In May 2004 a monthly acoustic concert series was started at the Jackson Interfaith Shelter in Jackson, Michigan, to benefit the shelter and all the folks there. Music is provided free by performing artists in the area. Free gourmet coffee is provided by local coffeehouses including BIGGBY Coffee of Jackson. With the success of the series, a fund raiser was held in December 2004 to purchase and install a permanent sound system at the Shelter for the concerts as well as church and personal growth services provided at the Shelter. The funds were raised and, through the generosity of local citizens, the system installed in February 2005. The Gimme Shelter Concert Series continues on and will, hopefully, continue as long as the Shelter's doors remain open and people are in need of its help. While the series was started and manned by local Jackson area artists, word got out and artists from all over Michigan have been joining in. If there are any acoustic musicians who are interested in helping out with this event, please feel free to email Bea Furman at Music@HealingSongMassage.com. If you're interested in taking a slot, please email me at music@healingsongmassage.com. The show goes from 7:00-9:00 at the Jackson Interfaith Shelter located at 414 S. Blackstone. Show can either be one performer for the whole time, or two taking a 45 to 50 minute slot.